…and it is magical. 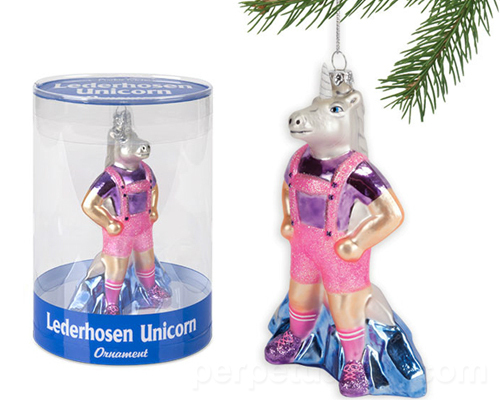 Not just because it’s in pink lederhosen, but also because of what appear to be the tiny blue mountains behind it (the Alps, perhaps? ), indicating that this hu-beast is in fact kaiju scale. Unfortunately it’s out of stock as of this writing, which should disturb you in and of itself – the fact that enough people are into this to ensure a sellout makes me think weird things about humanity. If they ever restock, it’s a mere $14.99, which is obviously a bargain.